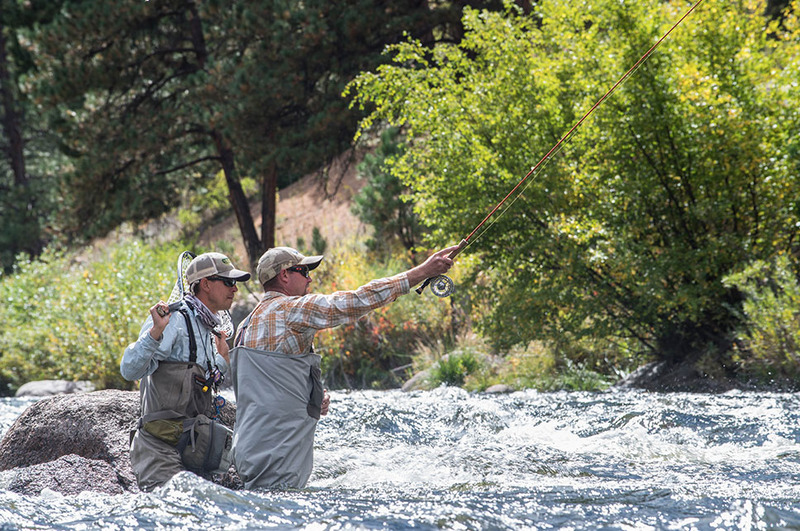 The Blue Quill Angler “Introduction to Fly Fishing Class” is your premier class to learn how to fly fish in Colorado. This class is taught by our experienced guides who have an immense passion for the sport, and care about teaching each and every student the necessary skills to be self sufficient on the river. Our beginner’s fly fishing lessons run weekly, from mid April through mid October, and is open to men, women, and children 12 and over. 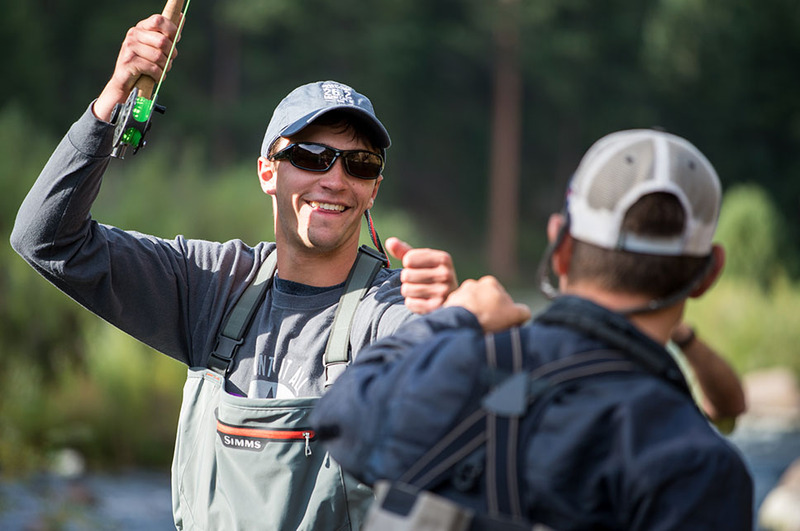 Beginning in June of 2018, all of our Introduction to Fly Fishing classes will be held on Private Water, with exclusive access to both a river section and a pond. We keep the classes small, with 4 to 6 anglers in each class. This is to ensure that every student in our introductory fly fishing lessons gets the personal attention needed to learn the skills and knowledge necessary to catch trout on a fly rod. The class is composed of 2 sessions: a 3 hour Thursday evening class at our shop in Evergreen, and the following Saturday is spent on the water with your instructor. The first session will introduce the student to fly fishing theory, rigging a rod, casting, knot tying, and entomology (as it pertains to fly selection). The instructor will also hold discussions on equipment and stream etiquette. 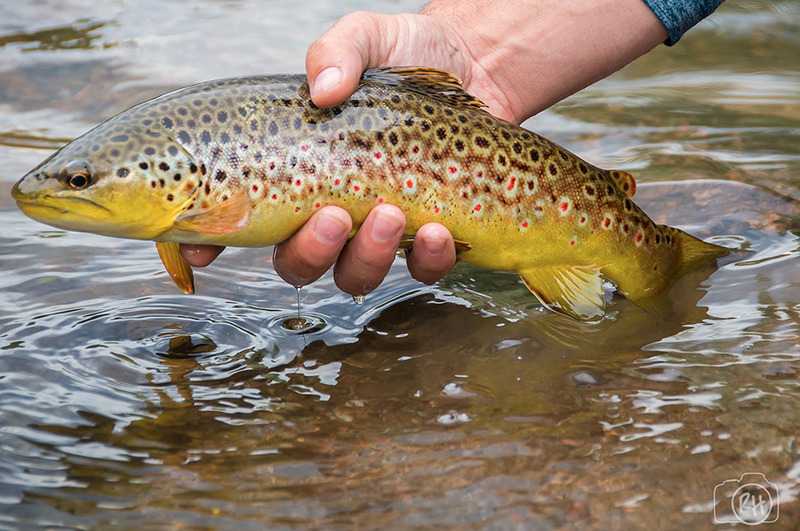 The Saturday on the water session will be focused on developing critical techniques in fishing nymphs, dry flies, and streamers. Topics also covered are wading safety, trout behavior, entomology, reading the water, playing, landing, and releasing fish. What Do I Need For My Introduction to Fly Fishing Class? All of the necessary gear needed to participate in this class is provided for the students. 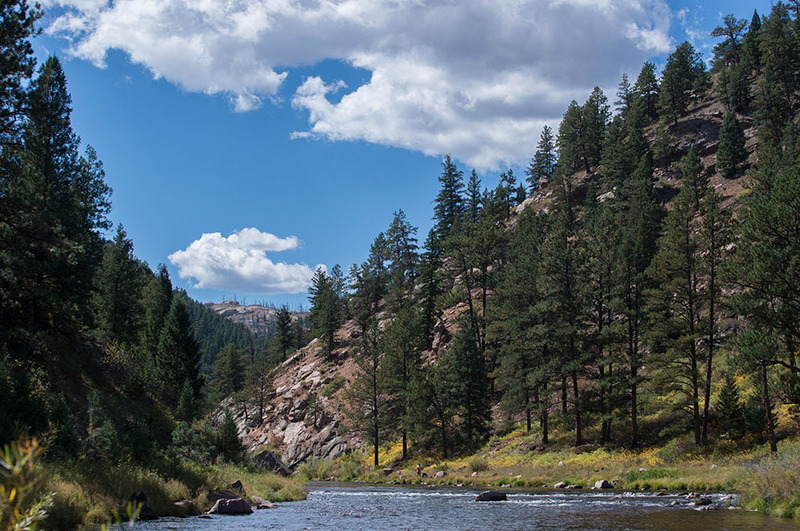 This includes: a rod, reel, waders, boots, a vest or pack for the river loaded with Umpqua leaders, tippet, river tools, a fly box and flies for a successful outing on the river. You will need a valid Colorado fishing license to participate in this class.